Can you imagine a beautiful garden hanging down and growing from the balconies and rooftops of a gigantic palace? These were the Hanging Gardens of Babylon. Two thousand years ago, travelers passed by marvelous sites, which they recorded, and eventually these amazing places were used as the basis for choosing seven world wonders. Ancient Greeks made a list of the most remarkable man-made creations and they named them the Seven Wonders of the Ancient World. 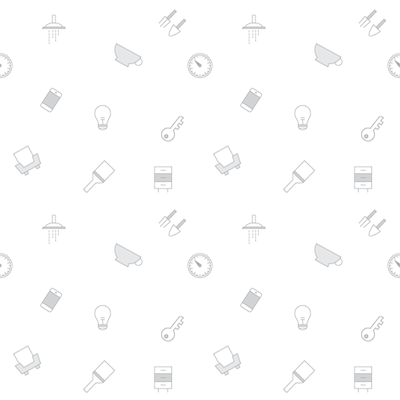 The Greeks chose seven because they felt the number seven was the perfect number. The Pyramids of Giza, Egypt was built approximately 2,000 B.C. These are the massive tombs of the Egyptian pharaohs. A tomb is like a large stone room where the Egyptians buried people when they died. The Egyptians believed that the dead person would come alive again to live a new life, which is why their tombs were also filled with the person's belongings. Of the ancient wonders, the Pyramids of Giza is the only one left standing. Temple of Artemis at Ephesus was built in Turkey during the sixth century B.C. This giant temple, a building where people to go worship a god, was built to honor Artemis, the Greek goddess of hunting. Statue of Zeus in Greece was built in the fifth century B.C. This was a 40-foot (12 meter) statue of the father of the Greek gods. Mausoleum at Halicarnassus, Turkey was built in the fourth century B.C. This complicated and beautiful tomb contained the remains of King Mausolus. Colossus of Rhodes was constructed in Rhodes which is an island in the Mediterranean Sea. Erected around the fourth century B.C., it was a 110-foot (33.5 meter) statue of the Greek sun god, Helios. The Lighthouse of Alexandria, constructed around 280 B.C., was a tower built on the island of Pharos, Alexandria. It was a light house guiding sailors towards the harbor at night. The Hanging Gardens is ranked as the second ancient world wonder. It was actually a large collection of plants that were hung from the gigantic balconies and rooftops of a palace at the east bank of the Euphrates River, located in the South of Baghdad in Iraq. Some stories described the Hanging Gardens as towering hundreds of feet into the air; but archaeological findings showed that this height was an exaggeration, and the Hanging Gardens really were not that high. The reason behind the Hanging Gardens sounds like a fairy tale. King Nebuchadnezzar II, heir to the throne of King Hammurabi, built the garden around 600 B.C. to make his his Queen Amytis less homesick. Queen Amytis missed her mountainous home in Medea, so the King decided to bring the mountains to his palace. He had his men build a giant fake hill planted with trees and beautiful flowering plants hanging from the balcony and rooftop of this palace . In the 1st century BC, a horrible earthquake struck Baghdad, destroying a large part of the city, including these gardens. Today, there those who argue that the Hanging Gardens of Babylon were not real. 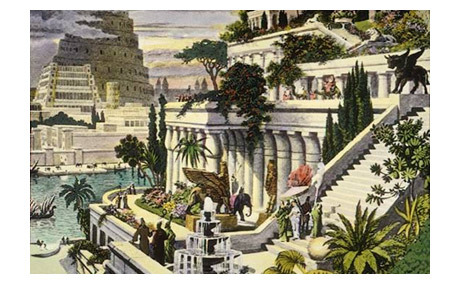 Some people consider the Hanging Gardens of Babylon as a fantasy because Babylonian records never talked about these amazing Gardens. 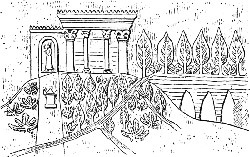 But the writings of the Greek geographer, Strabo, and Greek historian, Philo gave vivid descriptions of even the tiniest little detail about the Gardens. No concrete evidence supported the real existence of the Gardens but recently, some findings showed that some incredible gardens really existed in the town of Nineveh. In the end, historical experts want real proof before they say that the Hanging Gardens were real. Whether the Hanging Gardens were real or not does not change that they were chosen as the second wonder of the ancient world and the beautiful story that King Nebuchadnezzar II brought the mountain to his palace because of how much he loved his queen. Where are the Hanging Gardens of Babylon? Can you imagine a beautiful garden hanging down and growing from the balconies and rooftops of a gigantic palace? These were the Hanging Gardens of Babylon. Two thousand years ago, travelers passed by marvelous sites, which they recorded, and eventually these amazing places were used as the basis for choosing seven world wonders. Ancient Greeks made a list of the most remarkable man-made creations and they named them the Seven Wonders of the Ancient World.